The Biggest soccer publication in Africa! The leader in the latest local and international soccer news — Story Behind The Siyagobhoza - Stars' Sale Blocking Chabalala's Chiefs Move? Story Behind The Siyagobhoza - Stars' Sale Blocking Chabalala's Chiefs Move? In this episode of the Story Behind the Siyagobhoza, Nikolaos Kirkinis and Masebe Qina discuss Kaizer Chiefs interest in Justice Chabalala. 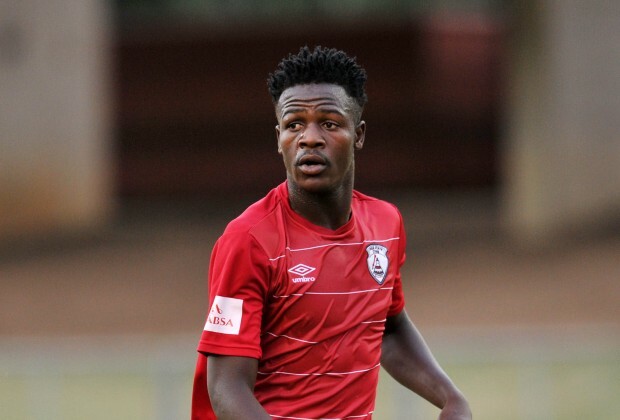 As Nikolaos and Masebe explain in today's episode, the Amakhosi are looking to add Chabalala to their defence, however, with Free State Stars' sale to Moroka Swallows, any transfer now seems unlikely until there's more clarity over the situation at Ea Lla Koto. Click On The Video Above to Watch "SLTV: Stars' Sale Blocking Chabalala's Chiefs Move?" What's this now? Was this player not sold to Pirates as reported in this publication. OH no please Mr Editor stop playing with your readers emotions just report that he was sold or say the deal didn't materialized maybe because of the sale of the team to Swallows. Secondly please research your stories perfectly before writing cause this is confusing your readers. As for me I don't care about Chabalala cause he is an amateur he still need to learn the game just like his colleague Mohumi. Chiefs & Pirates Unlikely To Land Stars’ Chabalala? Chiefs Chasing Ea Lla Koto's Chabalala?